Apple Cider Vinegar. Yay? Nay? Oy Vey! Well I’ve had enough people ask me about apple cider vinegar lately that I would like to share my thoughts, observances, pros and cons. Apple cider vinegar should not be consumed every day is just one of my personal stances. This vinegar can be difficult for some to digest, thus causing intestinal discomfort such as gas, burning or loose bowel movements. If one is working on healing their body from a serious illness, depending on the illness, apple cider vinegar in large amounts (consumed daily) can do more harm. For example, if one has cancer the sugars from some fruits especially apples can cause the cancerous cells to become stronger and grow. This is a fermented liquid also, it is meant to be consumed in small amounts. Just like many things in our lives, there needs to be a balance, large amounts can do more harm than good. Apple cider vinegar can leave one with a burning sensation in their throat, belly or if applied to their skin a burning rash also. Other people find it to be the ideal deodorant, skin cleaner and overall beauty product. I personally have not worked with enough people who have had positive results using it on their skin to recommend doing this. At the culinary institute I graduated from, Living Light, we did not use vinegar ever. Cherie and Dan the founders along with some other raw food gurus noticed that is actually can set ones pH balance off track, causing discomfort and a weakened body. I personally hardly ever use Apple Cider Vinegar now, but when I first was on my raw vegan journey I would use it almost always in dressings. So my stance on this product is to please use it in moderation. Having an ACV drink every single day is over kill. This product has no measurable amount of vitamins or minerals. Long term use in high quantities has been linked to lower potassium levels and lower bone density. 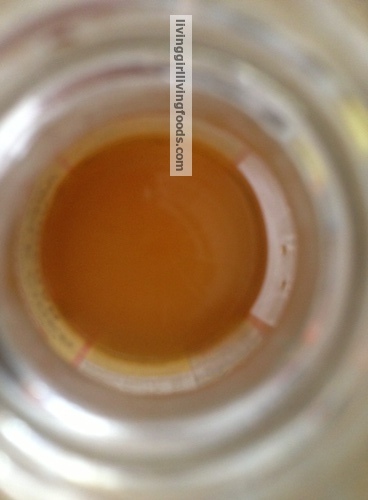 Note that most bottles of Apple Cider Vinegar only recommend a tablespoon a day also. Fermented foods typically only need to be consumed in tablespoons to reap the benefits and of course it doesn’t have to be every single day. Some use ACV pills to loss weight, to not hold so much excessive water weight. Depending on what state a person’s body is already in it may help balance their pH level or mess it all up. This vinegar can be very cleansing, breaking up mucus, promotes healthy gut bacteria, lower cholesterol and oodles of other benefits. The key is to pay attention to how YOUR body responds to consuming Apple Cider Vinegar. If you are using this product to “heal” or “cure” please tread carefully. It is extremely difficult to get clear cut facts and results with products like this. Do some research and reach out to others who have possibly tried using the product. If you notice that you are not feeling well and have upped your ACV intact, consider doing a little experiment and give it up for a few days. Keep track of how you feel and how your body responds. 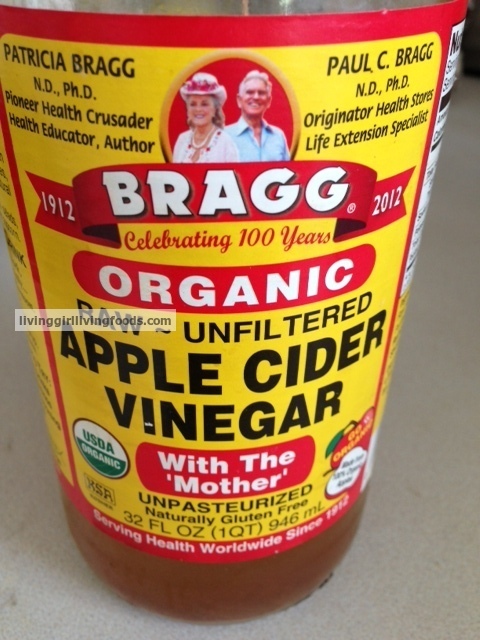 If you would like to purchase Apple Cider Vinegar I highly recommend purchasing the brand Bragg. This so far has been the most alive ACV I’ve personally used and it is raw and fermented meaning one is more likely to see results. ACV is naturally gluten free, it does not need to be stored in a fridge but a dark cool area like a cabinet is ideal. Fermented, raw foods and light typically do not mix well. I’ve never heard of ACV having an expiration date, the bottle I have in the house I have had for a while and when I open it there is still a slight fizzing alive noise. My personal stance is, as long as it sounds this way and the color of the vinegar hasn’t turned into a different color it is probably okay to have. You can find Apple Cider Vinegar with other vinegar products at the grocery store, if you are looking for the capsules of ACV they will be in the supplement section typically with weight loss or cleanse kits.